The Canadian carrier, recently named as the World Best Leisure Airline by Skytrax, has confirmed that it will allow cats and dogs of up to 10 kg (22 pounds) fly in the cabin on the vast majority of its flights. 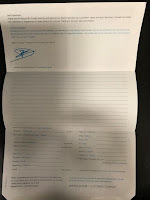 The weight allowance listed above is including the weight of a suitable cage or carier and the caged animal must be placed under the seat in front of the passenger. Travellers interested in this new service can book it directly with the airline, and fees start at $50 / £29.22 for domestic, south and USA flights. 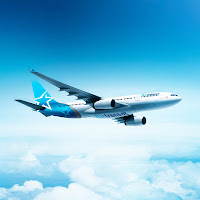 It rises to $90 / £52.60 for the carriers Europe flights and all the details are on the Air Transat’s website. It's important to note however, to prevent the spread of rabies to the UK, animals are only allowed to be carried in the hold on flights to the UK and Ireland, which will cost more. Plus of course, animals coming in will need to have a period of quarantine prior to being admitted, which can be quite costly. It is also not allowed on flights to and from Jamaica or Saint Lucia. It is also not available on connecting flights.